Stats: 11.9 miles, 3396′ of gain and loss. Track map for San Gabriel Peak Trailhead to San Gabriel Peak, Mt. Lowe, and Muir Peak from February 2017 using Backcountry Navigator (US Forest Service-2013 map) from my phone. NOTE: MUIR PEAK IS MISLABELED ON THE MAP. IT IS AT THE SOUTH END OF THE TRACK. Route description with trail segment pages: From the trailhead, take the Lower San Gabriel Peak Trail to the junction with Mt. Disappointment Road. Proceed up Mt. Disappointment Road to the Saddle between Mt. Disappointment and San Gabriel Peak. At the saddle, turn east (left) and proceed a short distance, go down the trail leading off Mt. Disappointment Road and continue up past the junction with the South San Gabriel Peak Trail, turn right, and take that down to Markham Saddle. From Markham saddle, cross Mt. Lowe Road and follow the Lower North Mt. Lowe Trail and the Upper North Mt. Lowe Trail to the junction with the East Mt. Lowe Trail. At the junction, follow the East Mt. Lowe Trail down to Mt. Lowe Road. Turn left when reaching the road and go to the junction at Lowe Saddle and follow the road up to Inspiration Point. From Inspiration Point, follow the One Man & One Mule Railway Trail to the junction for Muir Peak. Turn right, and follow the Muir Peak Trail to the summit. Return to the junction of the East Mt. Lowe Trail by retracing your steps and continue following Mt. Lowe Road until reaching the junction with the Upper Sam Merrill Trail (A.K.A West Mt. Lowe Trail), turn right and follow that trail up to the junction with the Upper East Mt. Lowe Trail. Follow the short summit trail to Mt. Lowe. From Mt. Lowe, return down to the junction with the Upper East Mt. Lowe Trail and take that down to the junction with the Upper North Mt. Lowe Trail, turn left and follow that back retracing your steps to the junction at San Gabriel Peak. 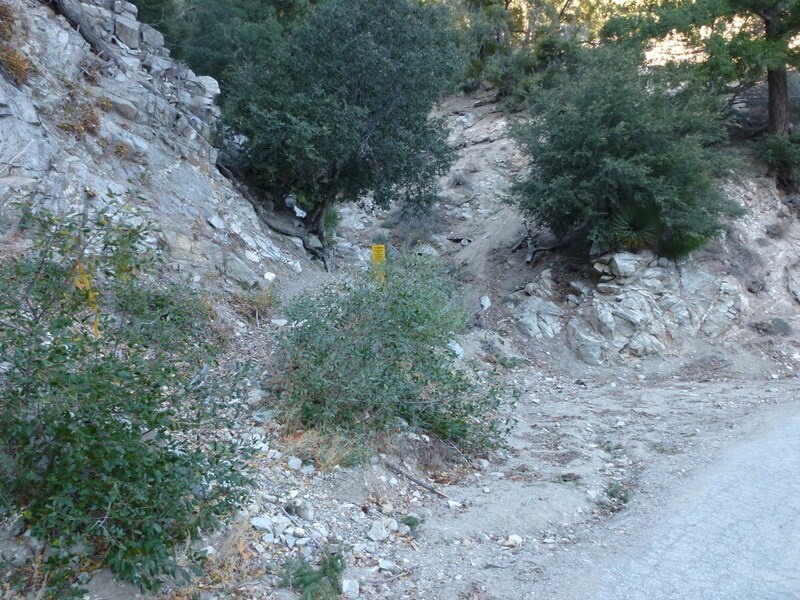 Turn right, and follow the Upper San Gabriel Peak Trail to the peak. From the peak, return to the JCT with the South San Gabriel Trail and continue back to the trailhead retracing your steps. View from San Gabriel Peak looking toward Mt. Wilson.